LP - EMEA UK - WP The Rapid Expansion of Supply Chain Risk Management — Are You Prepared? 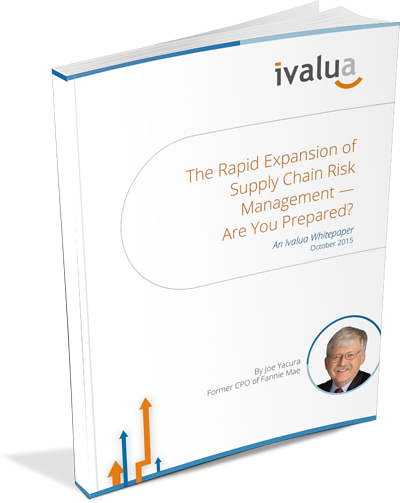 CPO Insights: The Rapid Expansion of Supply Chain Risk Management - Are You Prepared? Former Fannie Mae CPO Joe Yacura draws upon 25 years of supply chain experience in a number of world class organizations to ask whether today's procurement and supply chain teams are fully prepared for new expectations around risk management. 8 key factors to examine when designing your organizations process for managing supplier performance and risk. If you want to maximize the results from your procurement team, this guide is for you. Download your copy today!